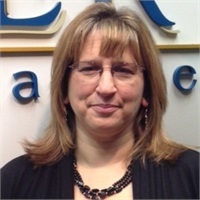 Tammy Yopconka, Director of Operations, has been a client service associate at LWM since 2002. She was previously employed in the Accounting Department at Stanley Vidmar for 17 years. At LWM, Tammy assists clients with inquires regarding their accounts. Since joining LWM, Tammy has attained the Series 11 and 63 licenses that enable her to process unsolicited security transactions for our clients and provide a higher level of service. In her spare time she enjoys camping and spending quality time with her family. She resides in Alburtis with her husband Dave, and three children, Kristie, Danny and Robby.